The vessel is furnished with a Furuno Radar Plotter mod M-1824C (must be verified). Using GPS data re-transmitted by the unit. Seems that track data can only be transferred via SD memory card. Data is binary coded (cannot be read in ordinary editor). Original filename was GP1650B.TRK; renamed GP1650B.TRK.txt. GP1650B.TRK.txt: Track data transferred April 2010. Memory card must be Secure Digital (SD) type - not Multi Media Card (MMC). 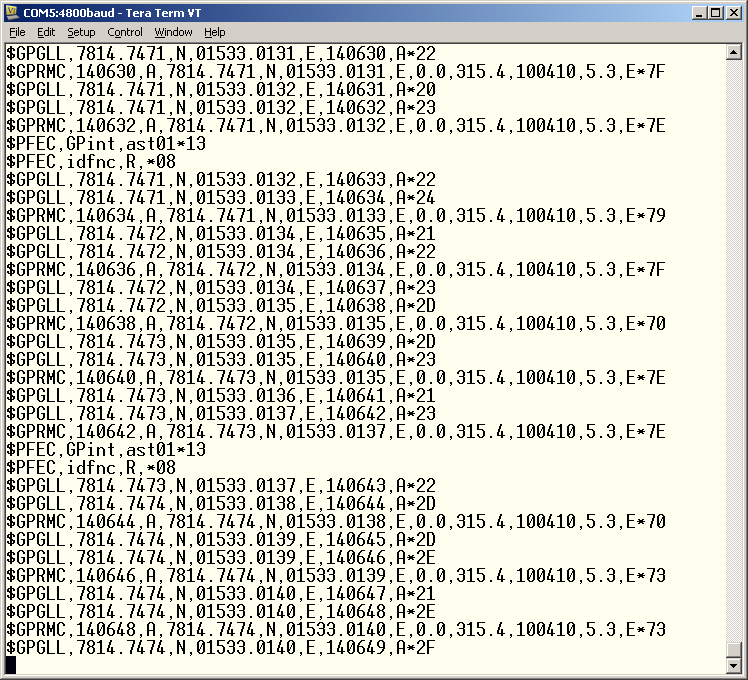 Example data capture port DATA4 on Rader/Plotter.